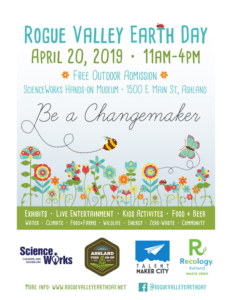 Mark your calendars for this year's Rogue Valley Earth Day celebration, and stay connected here for details about plans for 2019 exhibits, live entertainment, and eco-friendly activities. SOCAN is a Sustainable Supporter. Join us on April 20! !